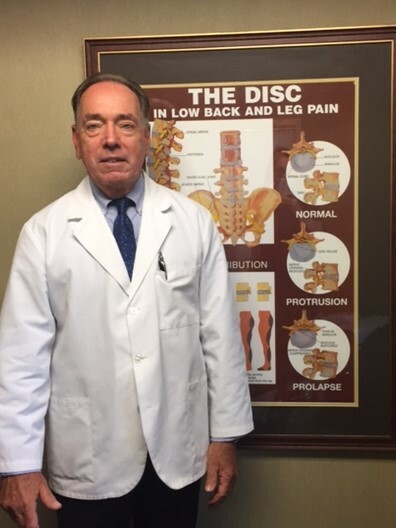 Spine specialist, Dr. Richard Dybowski shares one of the most difficult types of back pain to treat, a disc sequestration or disc fragment. Dr. R.B. Dybowski graduated from Warren Fitzgerald High School, Oakland University then Palmer Chiropractic College in 1977. After one year of practice in Madison Heights, he opened the Utica Chiropractic Clinic, P.C. Since Dr. Dybowski has been involved in many sports throughout his life, an interest in sports injuries comes naturally. Medical referral and acceptance of these referrals has been a hallmark of our practice. Multiple advanced and continuing education courses have been completed since his graduation. He is a certified Cox Technic doctor.